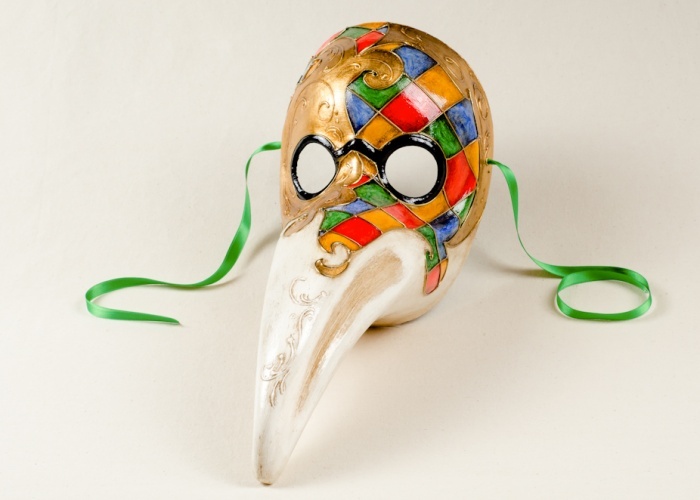 This plague doctor mask is among the most beautiful Venetian masks for decorative wall hanging. The mask's decorative style reflects the bright colors of the carnival. It is made using a real cartapesta base, acrylic colors, gold leaf, stucco, and wax for a weathered look.